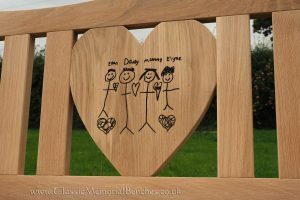 Our craftsmen can carve something wonderful for you by working from an image that you provide or by interpreting an idea you may have. We normally run a little wood dye into wood engravings to make them stand out. 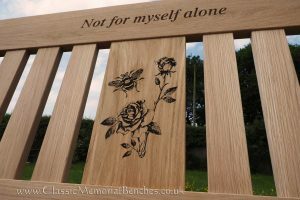 When the design is very intricate, we inlay black epoxy resin which sets like stone and is sanded smooth to the surface of the wood. 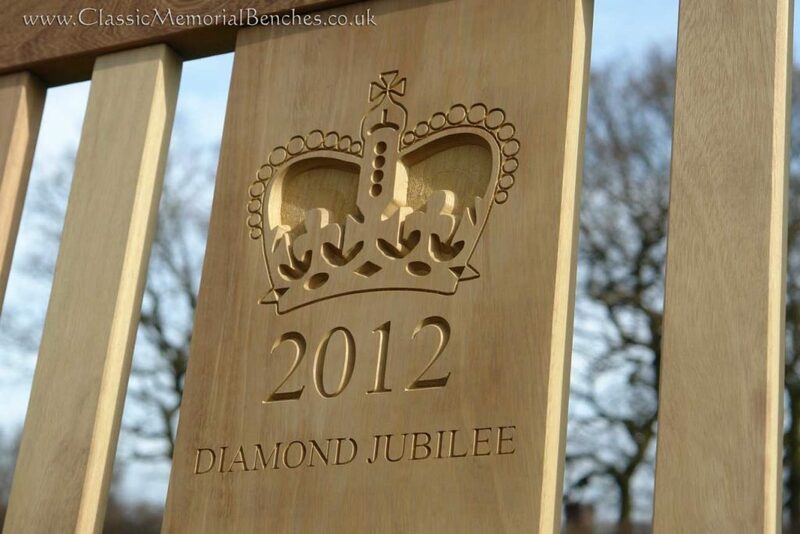 This ‘fixes’ the design and keeps it safe from chipping or damage. 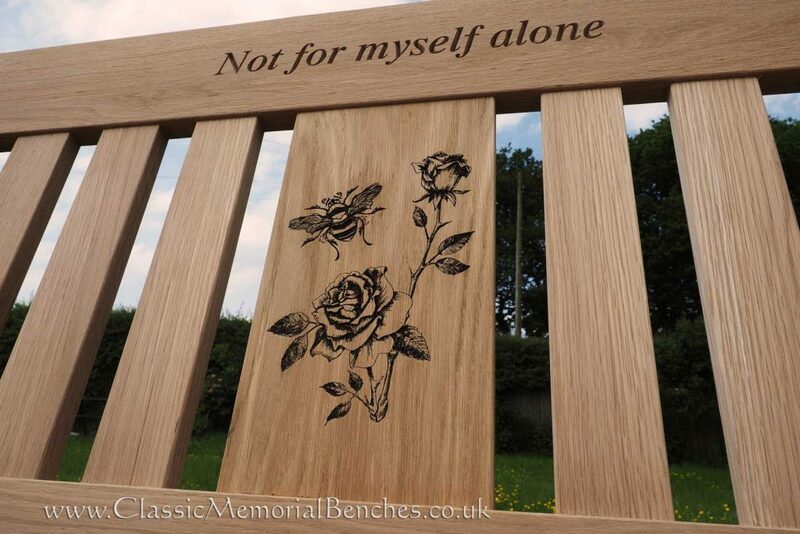 These techniques are weatherproof, permanent and designed to last the lifetime of the bench. 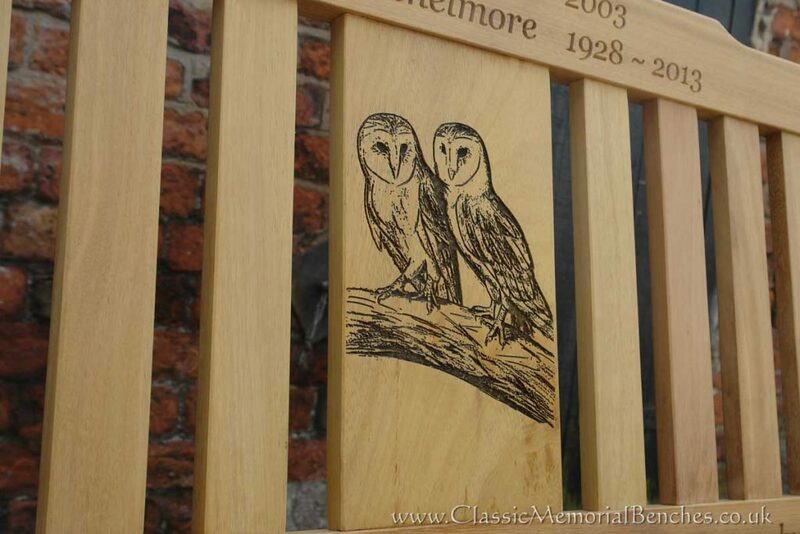 Please see our gallery of work for more examples of our wood engravings. 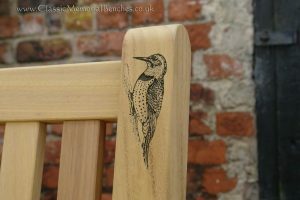 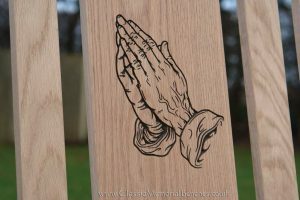 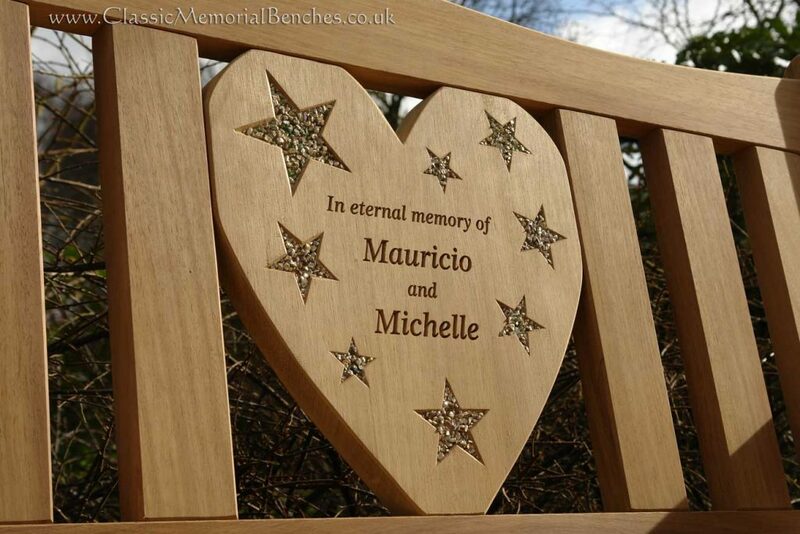 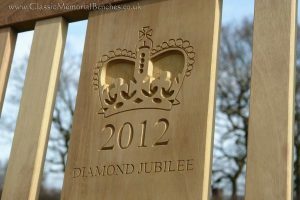 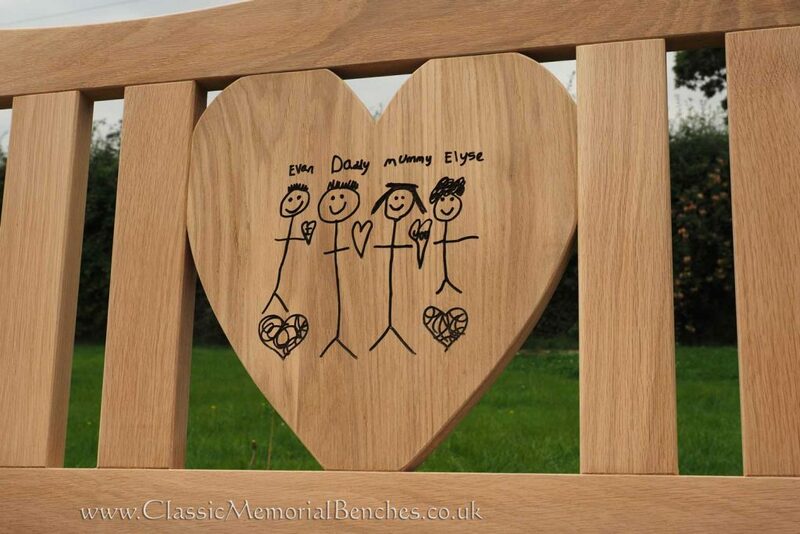 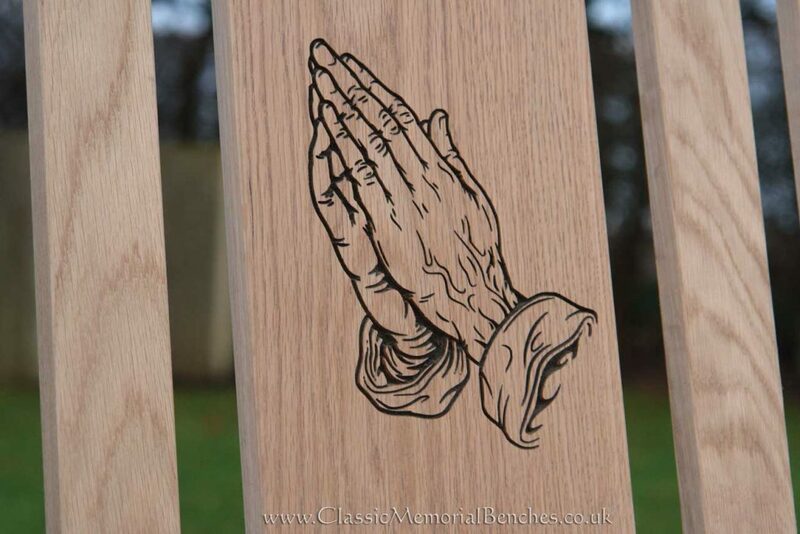 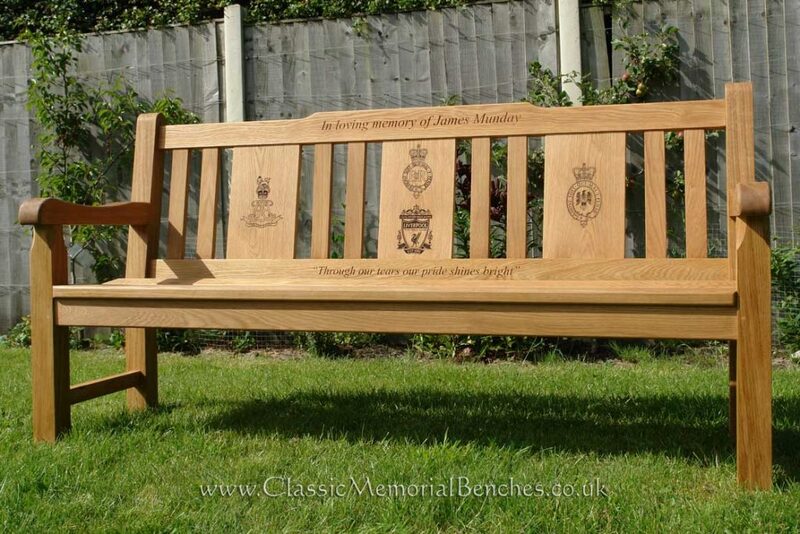 Wood engraving can be done on any part of any bench. 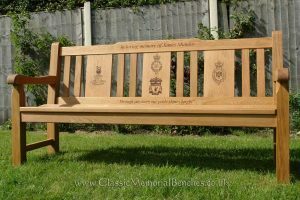 Our benches are handmade to order which means that we can incorporate a wide centre panel in the beck of the bench to accommodate a beautiful wood engraving or carving. 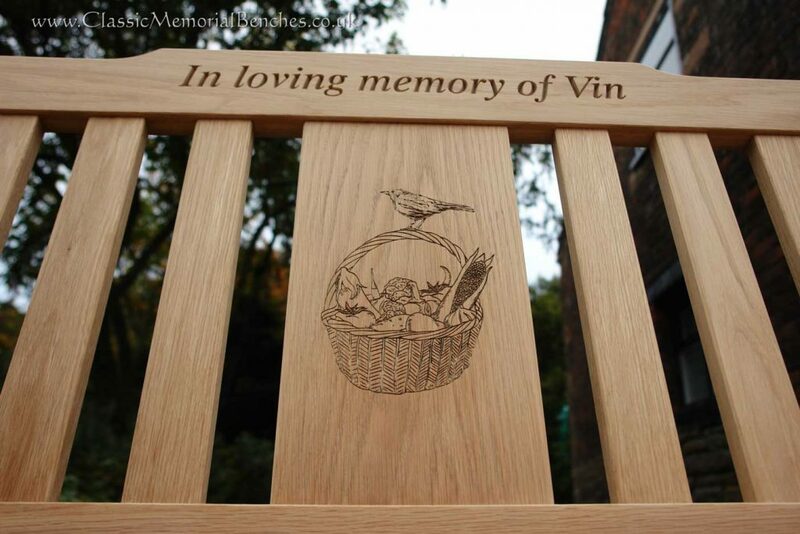 Once again, thank you so so much for everything!” – Colette.